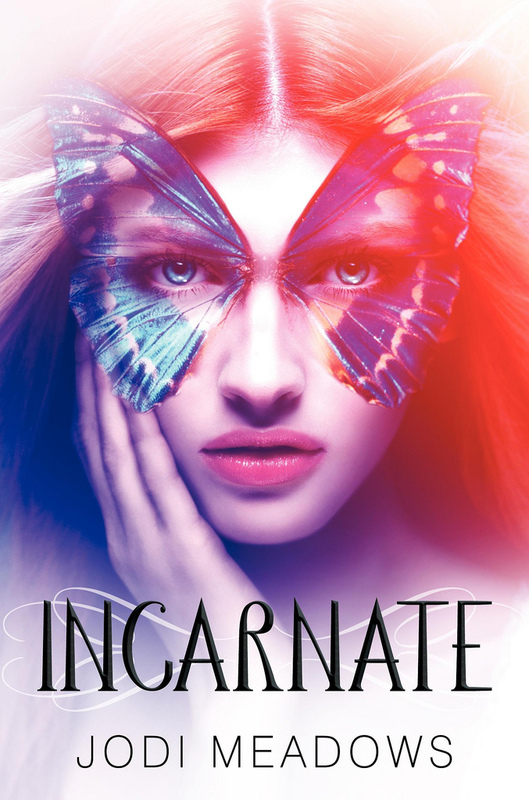 Incarnate | What YA Reading? Doesn’t Incarnate have a really unique premise? 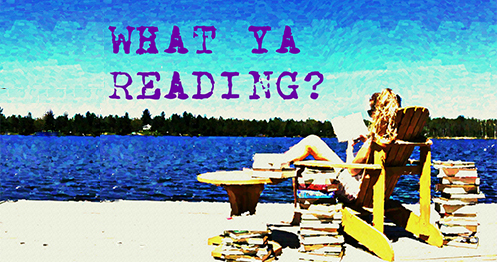 Doesn’t it sound like an addictive page turner? Doesn’t it sound amazing? Yeah, well, it’s not. At all. I mean, the cover is beautiful. The imagery is lovely. The way Meadows writes is just lyrical. But that’s really hard to enjoy when the setting is so mysterious, the main character is utterly self-deprecating, and the plot is completely focused on a romance that is just awkward to begin with. Incarnate takes place in Range, which is a country in a fantasy world which is loosely based on our own. Range encompasses one city, called Heart, which inhabits the great majority of the million souls. Ana has lived on the outskirts of Heart for most of her life, but to discover the purpose of her existence, she must travel to the city, so this is where most of Incarnate takes place. For the most part, I loved this world. I loved that the walls surrounding the city had a heartbeat; that’s why the city is named Heart. I loved the mysterious, door-less temple in Heart’s centre. I loved the acid-spouting dragons and the sylph, who are shadow creatures that burn to the touch. I loved the market days and the masquerade parties and the amazing, floor-to-ceiling-books library that Meadows described. What really irked me about the setting is the mystery of the rest of the world. As I mentioned before, Range is just a country in an original, fantastical world. But Meadows never describes any part of the rest of this world. Reading Incarnate, I had so many questions. Is Range the only country whose souls are continually reincarnated? Does the rest of the world even consider its people to have souls? What about dragons? Do they attack the rest of the world, as well? None of these questions are answered. Next, the characters. Ana is not a very likable protagonist. Because of her troublesome background, which is to say that she originates from an oppressive environment with an emotionally abusive mother, she is very self-degrading. Now, I’m a fairly empathetic person. If characters come from homes where their mothers tell them they’re worthless, I will sympathize with them. I will comfort them mentally. I will feel sorry for them. But when it gets to the point of every other sentence of a novel being something like: “I’m nothing. Nobody cares. I don’t deserve friends.”, I will not sympathize. I will bang my head against a wall and hope the author kills off the character in order for a new protagonist to take her place. Enter Sam. Sam is the first person who reassures Ana that she is not some evil, soul-less creature, but rather a new soul. He takes Ana in, and cares for her. He buys her things. He’s very hospitable, really. Sam is round character, because he has so many aspects to his personality. I really rather liked Sam, actually. I’m going to mention Incarnate’s other characters– oh, wait. I have nothing to say. These characters basically don’t exist. This really upsets me. I feel like they could have been so much more, they had so much potential, but Meadows limits them, she doesn’t allow them to develop, opting to focus on the romance between Sam and Ana. SAM: So, I’ve got some girl stuff in the bathroom if you need it. ANA: What? Do you just keep all this stuff around in case a girl comes to stay awhile? Speaking of the romance between Sam and Ana, I feel as though it really restricted the development of the plot. When I picked up this book, I was hoping for a storyline based on a road to self-discovery. I was hoping for a journey that ended with some sort of enlightenment. I was hoping for a good plot. Instead, what I do get stuck with? A girl who promises that she’s on this path to discover the purpose of her existence, but then completely forgets her goal as she falls for a guy who’s, like, three thousand years older than her. Yep. That’s determination, right there. And what’s worst? During Incarnate, Sam mentions that he and Ana share the same birthday. The next day, Ana find out that Sam’s birthday is actually two weeks before hers. Later on, Ana notices that Sam sneaks out at night, after he believes that she is asleep. Does she confront him about any of these things? No. Does she even call him out on any of these things? No. Does she completely forget that he lied to her and is going behind he back? Yes, yes, she does. Finally, Meadows had a unique, interesting, amazing concept. And she could have taken this and ran with it, and developed it, and made it into something marvelous. Instead, she chose to kill the plot and her readers by bestowing us with *cringe* Ana. And that’s just so disappointing. Incarnate gets 2/5 stars.